I’ll never forget how I first heard of UK singer / songwriter Clare Maguire … from Marina and the Diamonds! 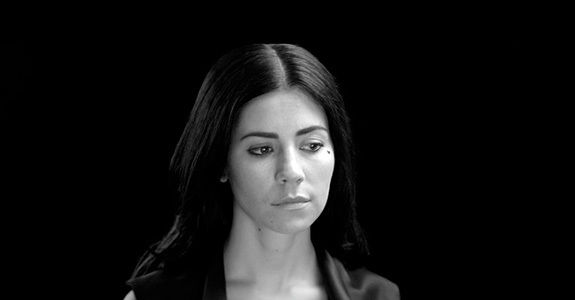 When interviewing her for the first time in person back in 2010, I asked Marina if there was anyone she recommended to check out music-wise that she was currently digging on, and she instantly told me about her friend Clare. After the interview I looked Clare up and was pleasantly surprised by what I heard, I’ve been a fan ever since. Her debut album, Light After Dark (iTunes), was one of 2011’s best releases, it’s fantastic. Now she’s inching her way back onto the scene, Clare just debuted another stellar track called “Little White Lies” which is throwing off some nice ’80s vibes that would be perfect for taking a road trip, definitely have a listen below via her SoundCloud. Hopefully her sophomore release isn’t too far off, I know Clare has many more brilliant albums in her.